Keinton Mandeville is a village in the Southeast of Somerset. 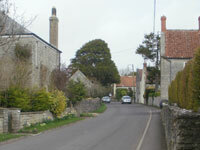 It lies midway between the market towns of Somerton to the West, and Castle Cary to the East. The origins date back to the Roman times, and Keinton grew both because of the local "Blue Lias" stone and being situated on the coach route from London to the South West. 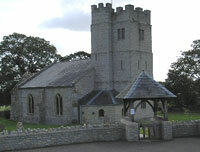 The Church of St. Mary Magdalene dates from the 13th century and the rapid growth of the population in the mid 19th century led to the building of the Methodist Church in 1843. 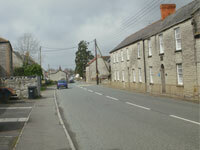 Today the village has a population of around 1,000 people and is served by "The Keinton Stores", "The Quarry Inn", and a hairdresser - "Joseph May". 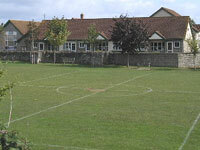 Keinton Mandeville Primary School, located near the centre of the village, achieves some of the highest acedemic standards in the area. The village hall, build in 1998, is in almost constant use with bookings for adult education classes, pilates, short mat bowling, sea scouts, brownies, a daily Doctor's surgery .... to mention just a few. On the commercial side, the photographer Graham Cox has a studio in the High Street, and there are two care homes Castle House and Beech Tree House. "Lakeview Quarry" is the last remaining quarry from what once was the major employer in the village. 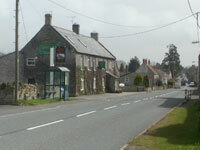 The land around Keinton is mixed agriculture with five farms surrounding the village - two providing popular farm shops. Sports are well catered for in Keinton with the playing field with play area and tennis court, a skate-board park, "Happy Tracks" children's play area, and more recently the addition of a MUGA. The range of recreational facilities available in Keinton must be a credit to those volunteers who built and run them. 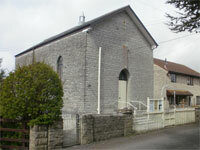 This community spirit aided by an active Parish Council make Keinton Mandeville what it is today. Click here for further details and to view previous minutes. Whether you are one or one hundred and one there will be a club or society in the village to interest you. To check on availability or to make a provisional booking click here or ring 01458 223453. Click here to find out useful contact details for local services, eg bus timetables, doctor's sugeries, household waste etc. E&OE applies to all information on this site.